My name is Sindi. My biggest passion is writing and creating, hence the existance of this lifestyle blog, Sindiana Jones, which you are currently reading. I cover topics from beauty, make up, fashion, fitness and travel. I am a Slovene and English Literature graduate (uni.dipl. ), I am a certified make-up artist and a certified nutrition consultant. I am also in the process of getting my PT certificate. I am also one of the three organizers of the SummerMBeauty event, which is the biggest beauty bloggers' event in my region. In 2018, it will be the 3rd time we meet up. 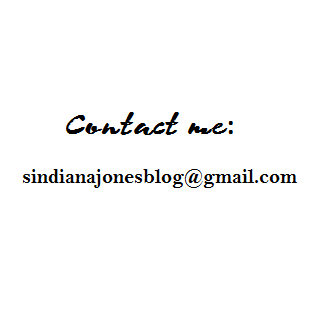 If you have further questions, if you want to advertise on my blog or wish to collaborate with me, contact me on: sindianajonesblog@gmail.com. Če imate kako vprašanje zame ali ste zainteresirani za oglaševanje/sodelovanje na mojem blogu mi lahko pišete na: sindianajonesblog@gmail.com.